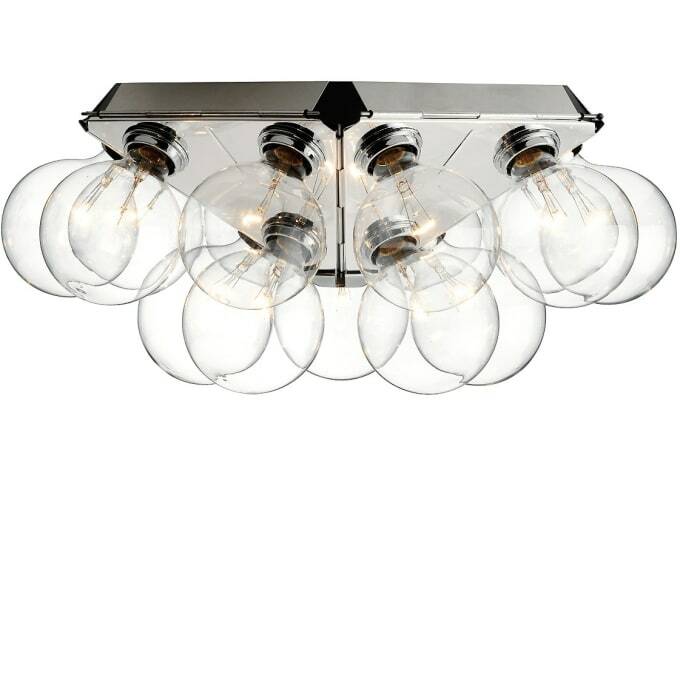 Impressive wall or ceiling lamp with 15 illuminated globes. Please note: Delivery without bulb. Please order separately if required (15 pieces required). Impressive wall or ceiling luminaire with 15 globes for direct and reflected light. Based on a design by Achille Castiglioni. Structure composed of 5 triangles in polished cast aluminium. 15 globe lamps, arranged on the structure. Do you have a question about "Taraxacum 88 C/W"? How can we contact you?